Present anything in a sophisticated, elegant way with these decorative wall planters. The metal wall hangings feature deep baskets that can be used as planters or as storage solutions indoors or outdoors. The Wall Plant Holders comes as a set of two (large and medium). 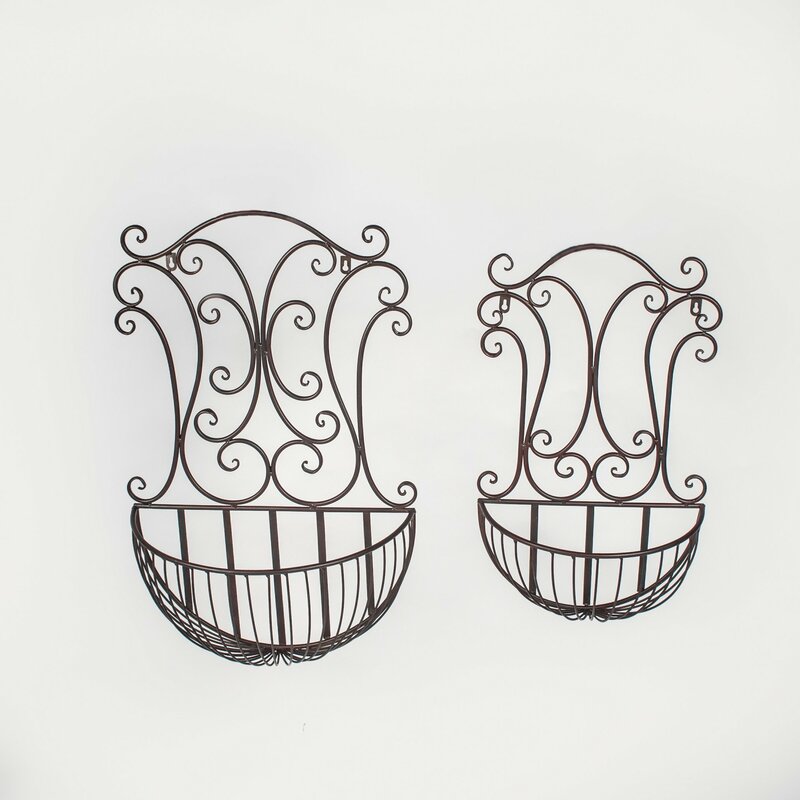 The wire basket and swirls are very fancy looking and are sure to add sophistication to your garden. Plant up with some tumbling, colourful flowers to complete the look. There are two rings on the back for easy hanging onto the wall.